The earliest records of Jews living in Limerick date from 1790, when the travel writer Charles Topham Bowden noted that a few Jews were living in Limerick, although they did not have a place of worship. John and Robert Genese Bernal, who moved to Limerick in the 1840s, set up a business as auctioneers in Thomas Street and lived in Sexton Street. When Robert Bernal died in 1847 he was brought to Dublin for burial in a Jewish cemetery. John Bernal became a city councillor, and when he died in 1898 he was buried at Saint Mary’s Cathedral. A small group of Lithuanian Jews began arriving in Limerick in the 1870s as they fled persecution in the Czarist Russian empire. But by 1881 there were still only four Jews living in Limerick. Some of the fiercest Russian pogroms took place in 1881, 1882 and 1903 – the last was the most violent, when over 3,000 Jews were killed. Whole communities fled, and those who arrived in Ireland were mainly from Lithuania. Most of the Jews who arrived in Limerick were from the village of Akmijan in Kovno province, while those who settled in Cork came from a neighbouring village. Rabbi Elias Bere Levin arrived with his wife and family from Tels in Lithuania and first lived at 36 Collooney Street (now Wolfe Tone Street). In 1883, the Diemant family from Germany were living in Wellesley Street (now Clontarf Place). Other arrivals in the 1880s included the Greenfield, Zaffa (Jaffe), Solomon and Barron families. Louis Goldberg, whose family later became prominent merchants in Cork, landed in Cobh (Queenstown) and walked to Limerick. In the first a series of violent attacks and protests on Easter Day 1884, the wife of Lieb Siev and their infant were injured by stones and their house on Edward Street was attacked by an angry mob. The Jaffe and Stein families, including their children, were beaten up in 1892 as they were walking by the Model School on Military Road (O’Connell Avenue). There was another stoning in 1896. For a period in the 1890s, there were two rival Jewish congregations, but for a generation members of the Jewish community lived in harmony with their neighbours. Early Jewish services were held in Emmet Place, but an Ashkenazi Orthodox synagogue was soon founded at 63 Collooney Street, and the rabbi was living at No 18 in 1889. In 1902, the Jewish community bought land for a small cemetery in the suburbs, close to Newcastle and Castletroy. The first burial was a Sheimos or burial of holy books and artefacts, a year before the first human burial. By 1904, about 35 Jewish families were living in Limerick, totalling about 150 people. They lived mainly in Collooney Street and the surrounding streets, at the west end of O’Connell Street, and close to landmark churches including the Jesuits’ Sacred Heart Church in the Crescent, the Redemptorist church at Mount Saint Alphonsus, and the new Saint Joseph’s Church. A renewed wave of violence began in January 1904. A month earlier, at a large Jewish wedding, attended by the whole Jewish community and many Christians, Judge Adams commented on the vibrancy and success of the Jewish community. His remarks drew a sour response in the Limerick Leader, which compared the prosperity of the Jews to the poverty of native Limerick people. He accused the Jews of ritual murder, blaspheming Christ, taking the clothes off children’s backs and ‘the bite out of their mouths … They came to our land to fasten themselves like leeches and to draw our blood when they have been forced away from other countries.’ He claimed Jews were in league with Freemasons and together had driven 200 priests from France. In a riot the next day, large numbers of confraternity members, with their wives and children, attacked Jewish families and their homes, and called for a boycott of their businesses. At least 300 people took part in the attacks, but only 10 culprits were fined, from 2/6 to 10 shillings, and the case against an eleventh defendant was dropped. Only two people of national standing condemned the attacks – Michael Davitt, the hero of the Land War 20 years earlier, and John Redmond, leader of the Irish Parliamentary Party. Standish O’Grady, a prominent figure in the Celtic Revival, spoke out, declaring that the Irish and Jewish people should consider themselves brothers in adversity. But Creagh’s call for a boycott was echoed fervently by the Limerick Leader, the Irish Independent and by Father Murphy of the Women’s Confraternity. Arthur Griffith, the founder of Sinn Fein, added his voice in favour of the boycott. 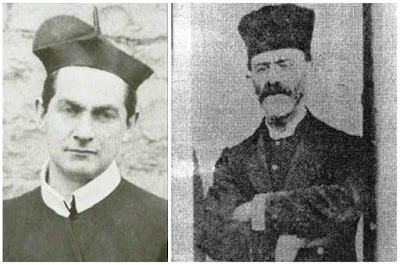 Julius Grande, director of the Irish Mission to the Jews, and EH Lewis Crosby, Secretary of the Church of Ireland Auxiliary London Jews Society, wrote to The Times asking for an end to the boycott. Grande claimed the police only gave passive protection to the Jews. The Roman Catholic Bishop of Limerick, Dr Edward O’Dwyer, denied any responsibility. He severely criticised the mob, but refused to meet Saul Goldberg and a deputation asking him to use his influence to end the pogrom. In sectarian tones, the Munster News warned: ‘Let Bishop Bunbury behave himself. The days are gone when a Papist, ridden over by a Protestant fox-hunter, should crawl hat-in-hand to beg his honour’s pardon for having been in the horse’s way’. John Raleigh, a 15-year-old, was convicted of stoning Rabbi Elias Levin, and jailed for a month. The Corporation pleaded for leniency and unanimously called for his release. When he returned to Limerick, he was greeted by a crowd of several hundreds, presented with a gold watch and chain, and carried shoulder high from the station. The boycott was having its effect. Max Bland, a grocer who had built up his business over 11 years, was ruined overnight. One by one, Jews began leaving Limerick, heading mostly for Leeds, Newcastle and other parts of England. Despite a heavy police presence in the Jewish quarter, Jews continued to be attacked until July. In the last act of violence that month, Louis Goldberg and a friend were severely beaten by a man with a blackthorn stick. The boycott continued until October. By then, only half a dozen Jewish families remained in Limerick. It is a curious coincidence that Limerick boycott began in 1904, the same year James Joyce chose for the setting of Ulysses. The boycott came to an end in May 1906 when Creagh was removed from Limerick and transferred to Belfast. In the decades that followed, the Jewish community in Limerick dwindled in size. The last rabbi in Limerick, Simon Gewurtz from Bratislava, died in 1944, the synagogue was sold in 1953, and the cemetery fell into disuse and disrepair. I found the cemetery in the suburbs, almost opposite ‘The Hurler’ pub. Jim Kemmy, who died 20 years ago in 1997, ensured that the early Jewish community would not be forgotten. The cemetery was restored in 1990 and is now maintained by Limerick Civic Trust and the Limerick City Council as a small public green space. It is now in excellent condition although there are only 12 headstones, including two to ‘Unknown Jewish Souls’ and two in Hebrew. The latest burial was of Stuart Clein, a prominent businessman who had lived in Limerick for almost 60 years and who died on 5 March 2012. Those recorded in English include: Stuart Clein (Solomon Sefton, 1931-2012); Asher Coen (died 1914 aged 57); Louis Fine (1921-1996); Simon Gewurtz (1887-1944) from Bratislava, Limerick’s last rabbi; Dr Dan Levy, Felix (Filo) Loya (1935-2001), a retired senior lecturer at the University of Limerick; Zlato Maissel (died 1906, aged 65); Maurice L Morrison (died 1930); and Samuel Sochat (died 1917). Some of the most prominent Jews in Ireland in later generations were descendants of people who lived through the pogrom. Saul Goldberg became a leading Zionist, and travelled extensively with Chaim Weizmann and Jacob Herzl, the father figures of the modern state of Israel. his brother, Louis Goldmann, became a draper and glass merchant in Cork, Gerald Goldberg was Lord Mayor of Cork in 1977. David Marcus, literary editor of the Irish Press, and Louis Marcus, film director, were sons of refugees from Limerick. Henry Jaffé was the grandfather of the journalist and popular historian Simon Sebag Montefiore. The Limerick Pogrom, as it became known, remains controversial to this day. Even its classification as a pogrom is controversial, with some historians feeling that this cheapens the horror of the ‘real’ pogroms at the time Russia and Eastern Europe. It was an exceptional event in Irish history. The tragedy is that this conflict involved two deprived communities living in miserable conditions. Father Creagh’s mission lost Limerick some of its finest citizens. Hi Patrick, the first image of a gravestone in this article was my great great grandfather David Cropman. Thanks so much for this fascinating article. Very interesting article. My grandfather Isaac Goldberg was born in Limerick in 1897. Louis Goldberg was his uncle. His branch of the Goldbergs left Ireland in 1902, two years before the events related here.